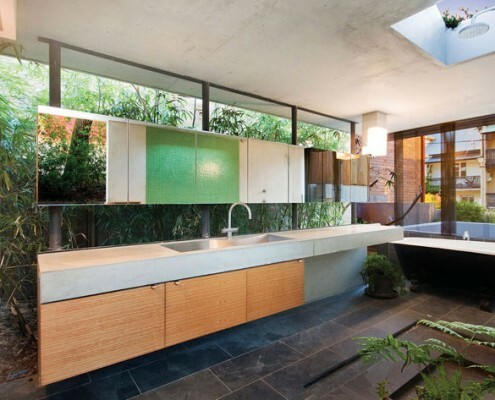 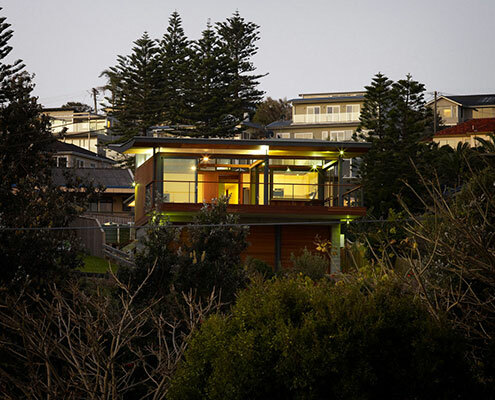 Elliott Ripper House by Christopher Polly Architects Elliott Ripper House Pulls Off a Well Considered Extension Seamlessly Elliott Ripper House is a prime example of how a well designed, harmonious extension can provide much more than extra floor space. 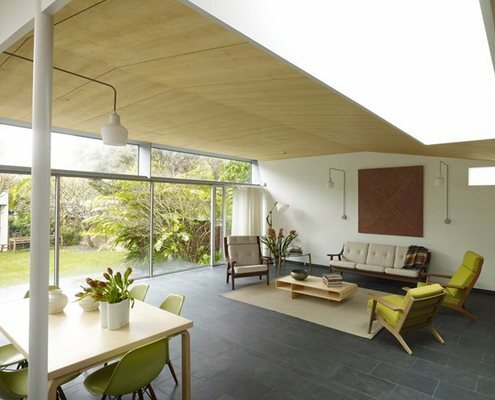 Haines House by Christopher Polly Architects Haines House: A Raked Ceiling Ticks All The Right Boxes There are a lot of things to consider when planning an extension. 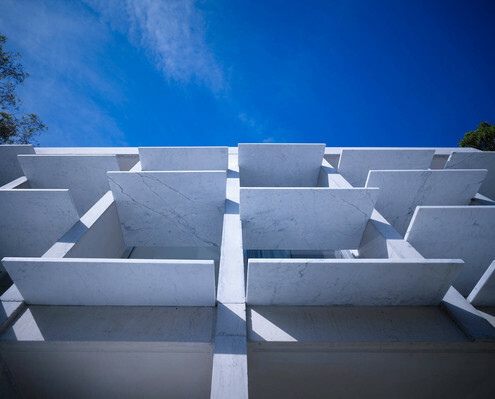 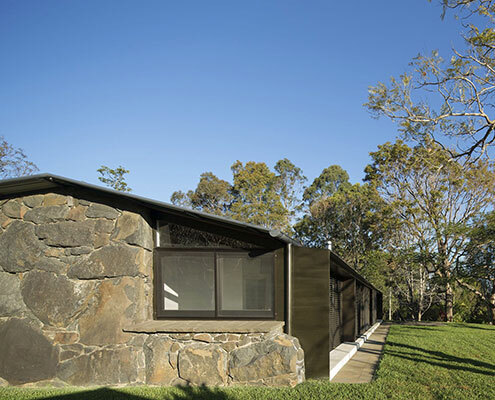 Haines House's new raked roofline solves a number of problems effortlessly. 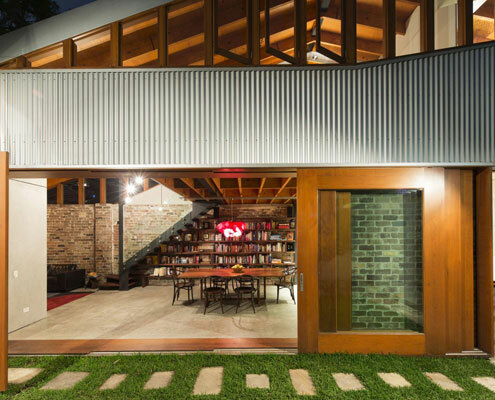 Haberfield House by Lahznimmo Architects Haberfield House: Complimentary Addition in a Federation Neighborhood Haberfield House demonstrates an innovative response to restrictive heritage controls in an historical neighborhood. 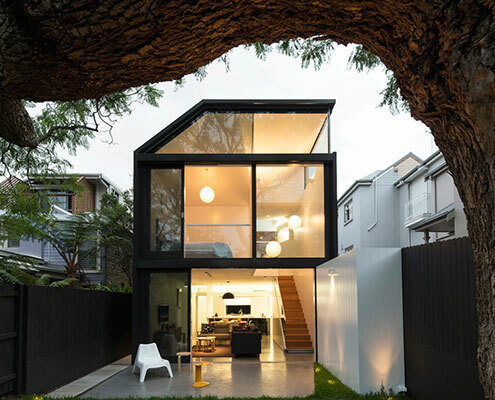 Erskineville House by Andrew Burns Architects Erskineville House: A light-well void creates a surprisingly generous sense of space The narrow (3.9 meter) Erskineville House gets a spacious and light makeover thanks to a double height, multi-functional light-well. 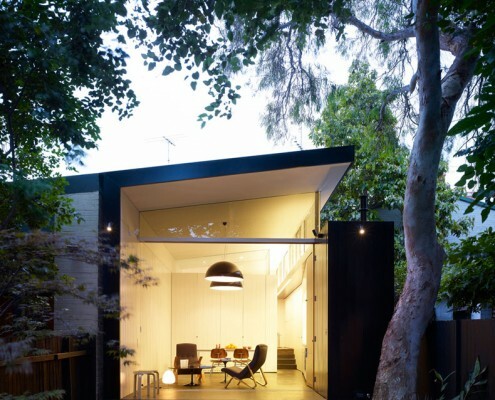 The Garden Room by Welsh & Major Architects The Garden Room: Home in Sydney Transformed Into a Garden Oasis Welsh and Major Architects transform a late Victorian, inner Sydney home in a garden room. 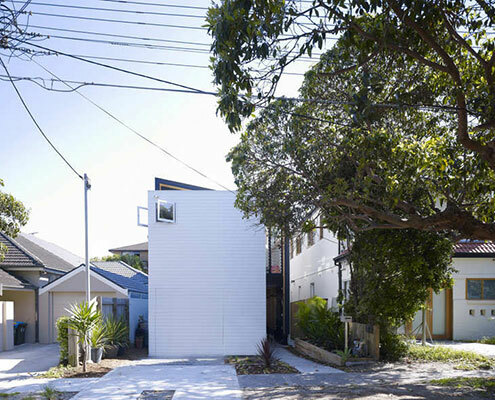 Balmain House by Fox Johnston Architects Balmain House: Generous, light-filled living spaces for a young family Talk about a constrained site - this light-filled addition is a small inner city block sandwiched between 14 adjacent properties. 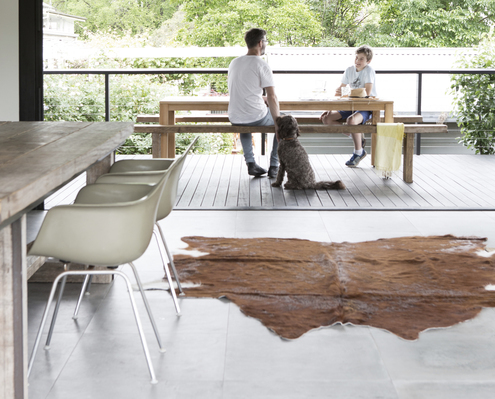 Stone House by CHROFI Architects Dilapidated Stone Cottage Transformed Into a Modern Family Home A rundown stone cottage on a sustainable timber plantation undergoes a massive transformation to become a simply stunning family home. 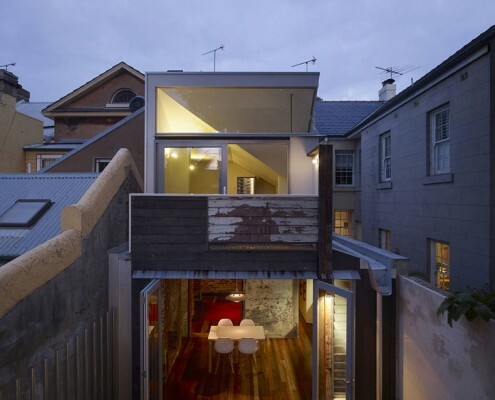 Cosgriff House by Christopher Polly Architects Cosgriff House: Semi-Subterranean Extension for Backyard Connection A new rear extension, much of which is under the existing house, creates a new-found connection to the backyard on this sloping site. 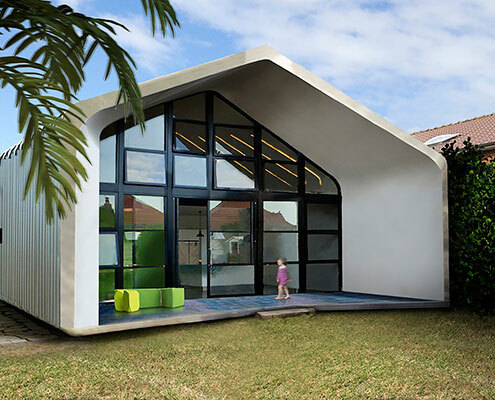 House Shmukler by Tribe Studio Private Spaces Hover Above the Public Spaces at House Shmukler Shmukler House by Tribe Studio is conceived as a series of boxes suspended in a large shed-like space. 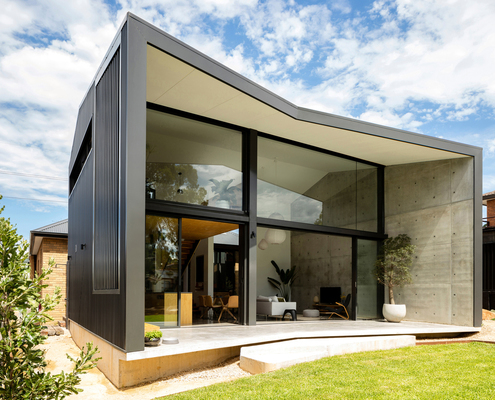 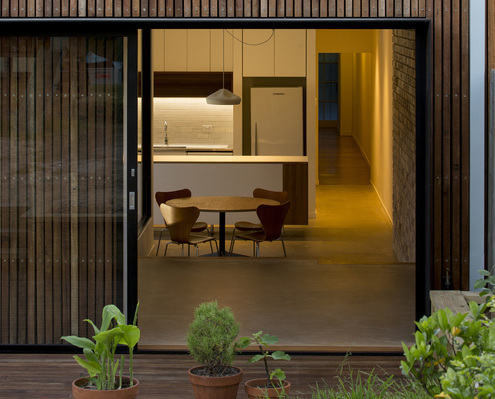 The Dalmeny by Enter Projects The Dalmeny's Origami-like Extension is Tech Meets Arts and Crafts Using the latest laser-cutting technology, The Dalmeny is a shack meets tech-science hybrid solution to the generic suburban environment. 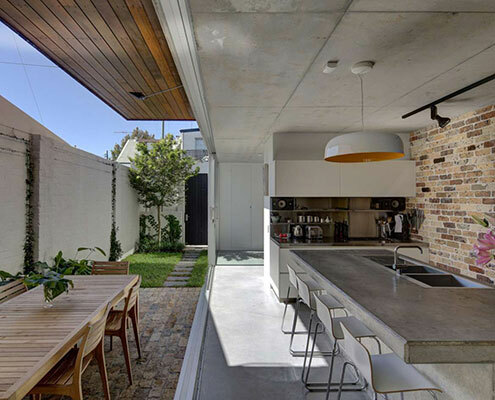 Long Courtyard House by Scale Architecture Long Courtyard House Challenged the Typical Terrace Configuration Long Courtyard House reorients the typical courtyard to the side of the house to bring in North light and create indoor/outdoor living. 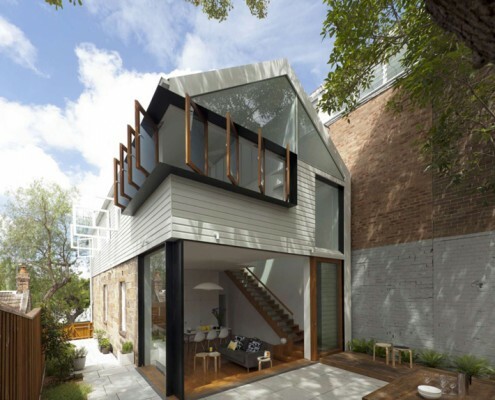 Cut-away Roof House by Scale Architecture Cut-away Roof House: A Contemporary Addition that Looks Right at Home Additional floor area provided by this renovation offers much needed functional space for a growing family, without any excess or waste. 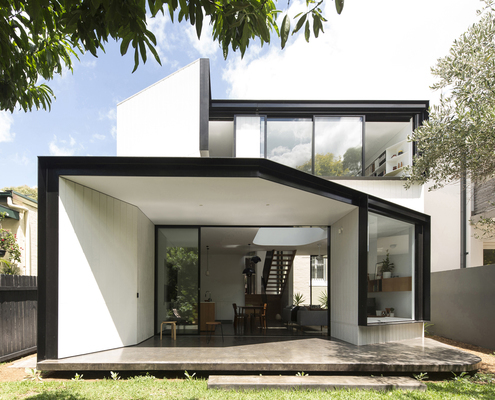 Unfurled House by Christopher Polly Architects A New Two-Storey Living Space Unfurls From Original Federation Home In contrast the cellular plan of the existing Federation-era home, this light extension is open-plan where spaces overlap and interact. 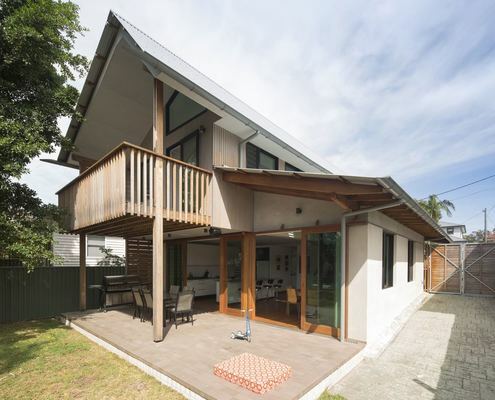 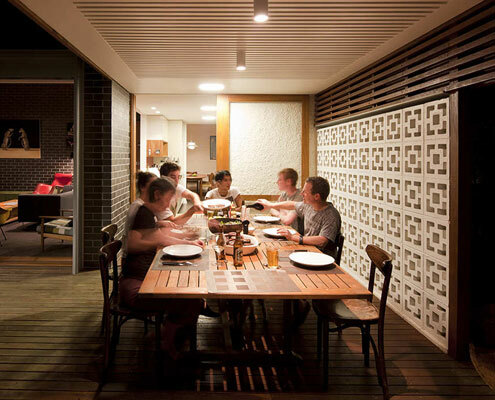 Down Size Up Size House by Carterwilliamson Architects Down Size Up Size House Has the Flexibility to Change With Its Family "Our clients now enjoy a home flexible enough to allow for their family to grow, without creating excessive rooms." 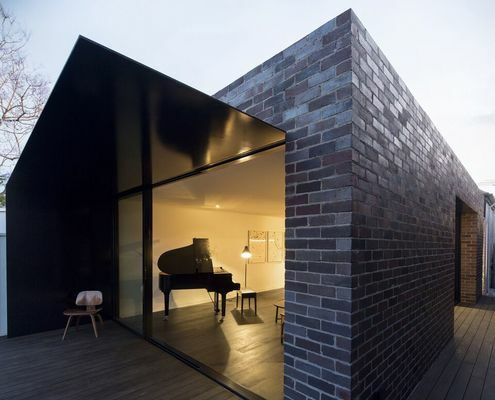 Llewellyn House by studioplusthree Derelict Inner-city House Now a Sophisticated Home for Two Musicians The journey through this home is one of contrasting light, colour and materials, making this narrow extension feel bright, warm and rich. 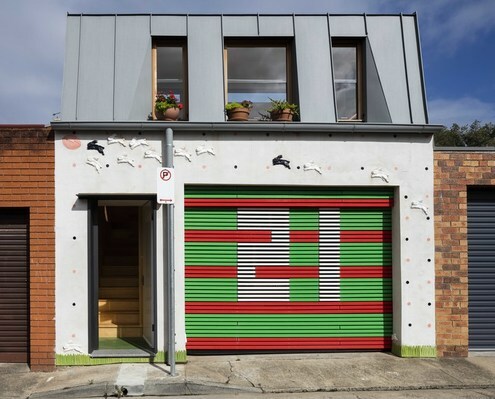 Laneway Studio by McGregor Westlake Architecture A Laneway Studio Designed as a Prototype for Developing Our Suburbs Architecture as a political statement. 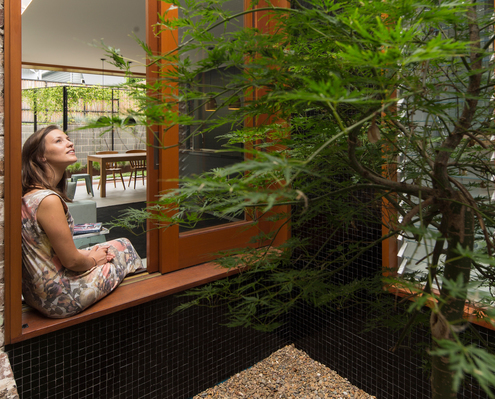 What should our suburbs look like as we attempt to squeeze millions more into our cities? 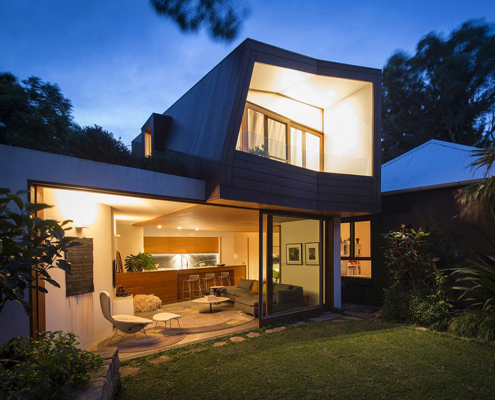 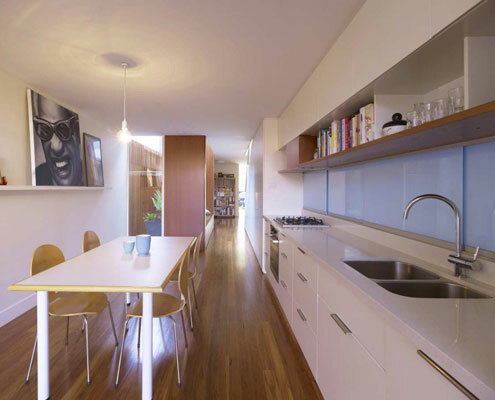 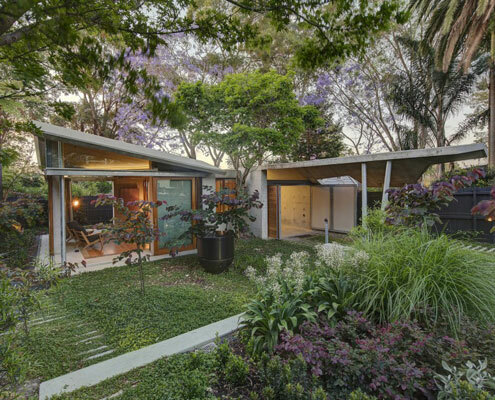 Binary House by Christopher Polly Architects Contrasting Addition Complements a Sixties Yellow Brick Home The good qualities of both old and new are highlighted by creating an addition which is the binary opposite of the original.